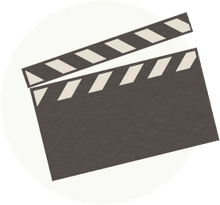 Whether conveying the heroic acts of soldiers or showing the harsh realities of battle, war movies have long been a staple of Hollywood. Everything from the Civil War and World War II to Vietnam and even ancient Roman battles have been depicted in grand fashion on film. Here are nine of the best classic war movies. Certainly one of the most realistic depictions of World War I, Lewis Milestone’s All Quiet on the Western Front was a powerful anti-war epic that dared to show the horrific realities of combat and won the 1929/30 Academy Award for Best Picture. 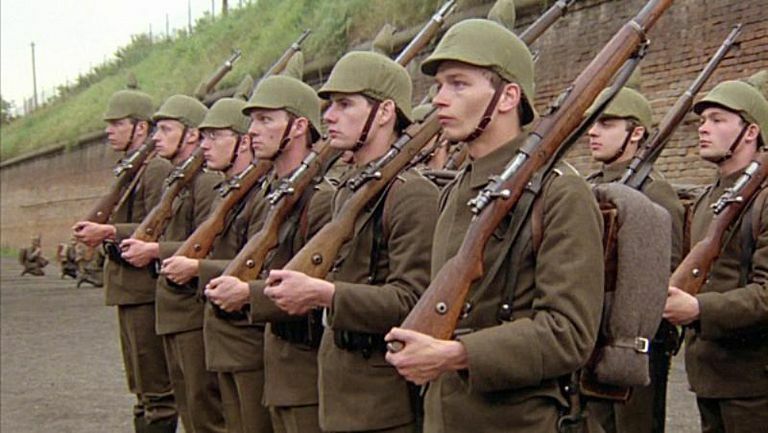 The film followed a group of German teenagers who volunteer for action on the Western Front at the start of the war, only to see their idealism crushed by an unrelenting officer (John Wray), and ultimately the blood and death waiting for them on the front lines. Though praised in the United States, the film was banned for its alleged anti-German stance by the Nazis and others in the lead-up to World War II. More biography than war movie, Sergeant York was perfectly timed with its released during the flag-waving early days of World War II. Gary Cooper played real-life pacifist-turned-war hero Alvin York, a hell-raising farmer who turns to God after being struck by lightning and vows never to get angry again. Of course, that sentiment doesn’t fit when America enters World War I in 1917, leading to York’s declaration that he’s a conscientious objector after being drafted. Forced to fight on the front lines anyway, York becomes a national hero and Medal of Honor winner for his heroics on the battlefield. Written by John Huston and directed by Howard Hawks, Sergeant York features Cooper in his finest performance and was a major box office hit. Directed by the master of epic movies David Lean, The Bridge on the River Kwai ranks as one of the greatest movies ever made and contains one of Alec Guinness’ finest performances. Guinness played an obsessive British officer imprisoned in a Japanese POW camp who engages in a battle of wills with the camp commander (Sessue Hayakawa) over building said bridge over the Kwai. Meanwhile, an American soldier (William Holden) mounts a daring escape, only to face a court martial when the military discovers that he’s an enlisted man impersonating an officer. That leads to a do-or-die mission to destroy the bridge after Guinness succumbs to pressure and leads its construction. Grand in every possible way, the film was both an epic war drama and powerful character study that became a box office hit while winning seven Oscars, including Best Picture. This tense World War II thriller featured an all-star cast of Gregory Peck, David Niven and Anthony Quinn as members of an Allied commando team tasked with the impossible mission of destroying giant Nazi cannons standing sentry over a strategic channel in the Aegean Sea. The Guns of Navarone is an action movie that actually thrives on the strong performances from its three leads without resorting to meaningless explosions. Of course, there is plenty of tense action all throughout, from warding off a German patrol boat to the final effort to take out the guns before a fleet of Allied ships are destroyed. The popularity of the film spawned a less accomplished sequel, Force Ten From Navarone (1977), with Robert Shaw and Harrison Ford taking over for Peck and Niven. This massive World War II epic boasted three directors, a huge all-star cast and Goliath producer Darryl F. Zanuck for a multifaceted telling of the D-Day Invasion of Normandy. Among the long list of stars were Robert Mitchum, Henry Fonda, Rod Steiger, John Wayne, Sean Connery, and Red Buttons. Despite virtually dozens of characters spread across five separate invasion points, The Longest Day does an excellent job of making sure the audience can both follow and connect to everything that’s going on. The film earned five Academy Award nominations, winning for cinematography and special effects. was a groundbreaking film that dared to steep itself into the darker side of war, which helped turn it into one of MGM’s biggest box office hits of the decade. Clint Eastwood and Richard Burton share top billing in this high-octane action thriller about a team of Allied special forces given the impossible task of infiltrating an impenetrable Nazi fortress in order to rescue a captured American general (Robert Beatty). Burton played a British officer who may or may not be a double agent to lead a team that is mostly British save for Eastwood, who happens to be the lone American and ultimately the only man Burton can truly trust. Where Eagles Dare contains a number of edge-of-your-seat sequences – including a high-flying chase atop a gondolier – and numerous double-crosses that will keep you guessing about the real nature of the mission up until the very end. The film was a big success but marked the beginning of the end for Burton’s career while Eastwood’s was only just underway. George C. Scott delivers one of the best performances of his career as General George S. Patton, a controversial military leader who believes he has been a warrior in many past lives and is destined for greatness in this life. But his stubbornness, refusal to follow protocol and controversial methods – particularly in regard to a soldier suffering from battle fatigue – rankle the top brass and prevents him from participating in the D-Day Invasion. Directed by Franklin J. Schaffner, Patton ranks high as a biopic and war epic and won seven Academy Awards including Best Picture and Best Actor. Scott famously refused the Oscar on the grounds that he wasn’t in competition with other actors – a perfect compliment to the iconoclastic character he portrayed. Director Francis Ford Coppola’s hallucinatory adaptation of Joseph Conrad’s Heart of Darkness was set during the Vietnam War and starred Marlon Brando as the mad Colonel Kurtz, who has gone AWOL in the Cambodian jungle with an army of local warriors. Meanwhile, the military sends a burned out army captain (Martin Sheen) to go upriver to “exterminate” Kurtz “with extreme prejudice,” leading to his own brush with madness. Coppola’s troubled production has become one of Hollywood’s most storied behind-the-scenes tales, as the shooting was plagued by typhoons, civil war in the Philippines, Brando arriving on set overweight and unprepared, and Sheen suffering a near-fatal heart attack. Even though fate was lined squarely against him, Coppola’s extraordinary will – some might call it megalomania – saw production through to completion, resulting in one of the great masterpieces of the decade.